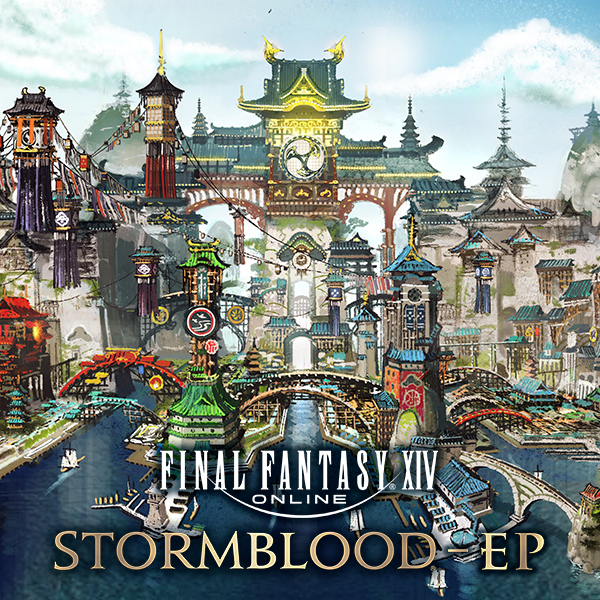 Presenting the FFXIV: STORMBLOOD - EP! As you know, February saw the release of THE PRIMALS Live Blu-ray followed by the Piano Collections in March. They're awesome arrangement albums, and I highly recommend checking them out! But I'm sure some of you (myself included) were wondering "when is the next soundtrack coming out?" 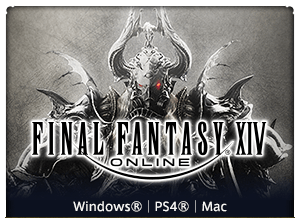 Fear not my fellow Warriors of Light, as we've just released a digital mini-album packed with some of your (my) favorite songs from Patch 4.4 through 4.5! Today, I wanted to share the songs featured on the soundtrack. Available through Amazon and iTunes. First we "kick" things off with Suzaku's theme song, Sunrise. I'm sure you will love being mesmerized once more by the lovely melodies and vocals of Yoshino Nanjo who voices Suzaku in the Japanese version. Just don't fall off your chair! Don't get fired up yet, as we head on over to the Burn next. Close your eyes and let the sound of the piano and bag pipes flow through you while walking through a vast land filled with white sand, and mysterious remnants of Allag. Now that you've calmed down a bit from the soothing sounds, it's time for a big bang! Let's send you back to where it all began, the very beginning of FINAL FANTSY. Revisit the battle against Chaos once more with this fiery track! You may be getting a bit hungry from your travels, so perhaps some chicken tenders would help you prepare to rock out? Don't get too comfortable, as Omega may appear and surprise you from your larboard. This is the song that plays in Omega: Alphascape Turn 4. If you listen carefully, you'll notice the song takes melodies from both Maker's Ruin and Torn from the Heavens and arranges them in way fit for the final battle in the Omega series. This is a special song that can only be heard if you and your team successfully make it through the Omega: Alphascape in Savage mode. *Note: This track is only available in the full album and is not available as an individual purchase. 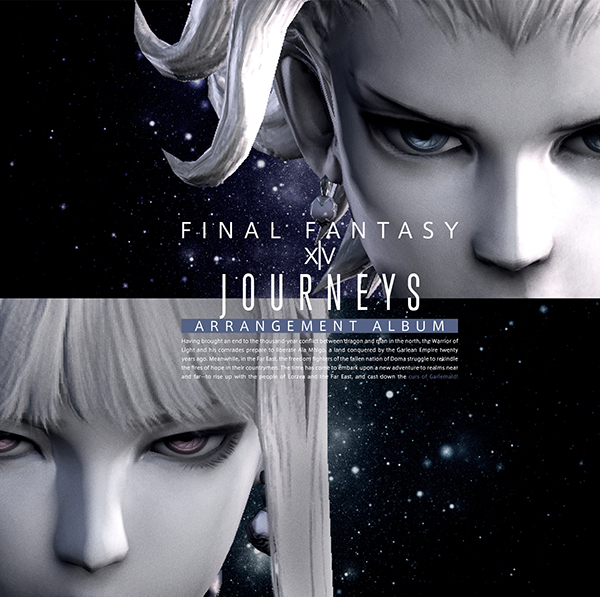 As we near the end of the album, we bring you a compilation of various songs you're heard throughout the Stormblood series in this one amazing song. I'm sure everyone who have challenged the Ghymlit Dark dungeon got hyped listening to this one. And finally, from numerous boss battles songs, this one slithering track isn't just your typical rock 'n' roll. The melodies of the flute, drums, and violin will course through you while keeping it unique with some Asian-style influence. And we've announced this previously, but we have the third official arrangement album scheduled for release in June, so please look forward to that as well!